The most trusted hair restoration brand launches next generation transplant device. 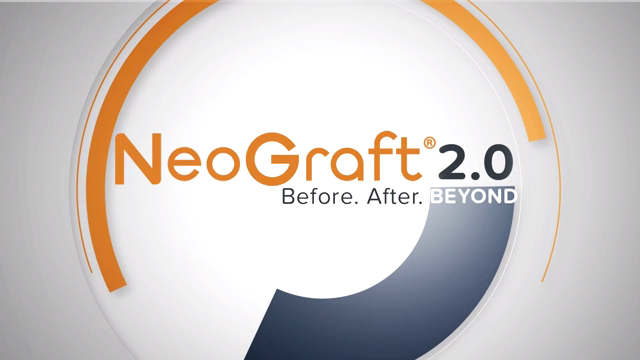 In collaboration with top aesthetic surgeons, NeoGraft® has combined next generation surgical techniques with decades of data. NeoGraft®2.0 is more than a device, it is engineered to further solidify partnerships with our physician practices. Wireless connectivity enables remote access for diagnostics, maintenance, automatic upgrades, and procedural data. The touchpad operates like your favorite tablet, and the software communicates with the hand tools to provide real-time extraction and implantation graft count. A new surgical implantation hand tool creates even more consistent implantation sites. The work station organizes the tubing and tools, while the double-jointed arm puts everything within the surgeon’s reach. The balloon pump motor has been replaced with a piston-driven pneumatic motor that delivers more precise pressure control for both extraction and implantation. Every detail has been enhanced to improve the patient experience, because what is good for the patient is good for your practice. NeoGraft® is the industry leader in automated follicular unit extraction and implantation. Compared to the traditional strip method, a NeoGraft® procedure is minimally invasive with no scalp incision, requires significantly less recovery time and leaves no linear scar. NeoGraft’s vision is to be the world leader in comprehensive hair restoration, supplying the latest innovations in technology, education and patient care.